Welcome to BikeRoundOz! You'll find everything here to make planning your motorbike tour in Australia really easy. We've got the best advice, best tours and best bikes, even if we do say so ourselves! We're here to help you make the most of your time and not just provide you a motorbike. If you'd just like to rent a motorcycle then that's fine but if you need route advice, accommodation booked, internal flights or even help with side trips such as Great Barrier Reef tours, then that's what we're here to do. Our staff have ridden right around Australia, through the middle and to parts beyond, so have incredible first hand experience of the country. 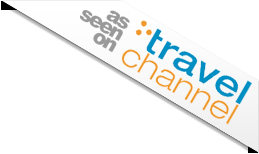 Use us as a travel agency style resource for your trip. 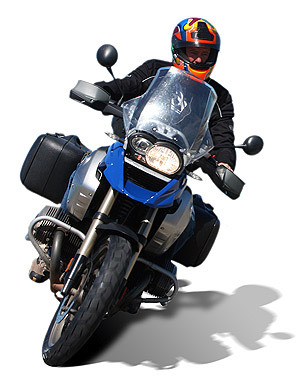 You'll find motorbike hire from Sydney, Melbourne, Perth, Brisbane, Cairns, Adelaide, Tasmania and even New Zealand. There are self-guided motorcycle tours, one way journeys, multiple centre trips [fly and ride], guided tours, customisable itineraries and free advice on routes and trip planning. If you are hoping to tour for a longer period then long term rental starts from just $42 per day! Self guided tours include the bike, great accommodation and an itinerary crammed with information about the route, distances, things to see on the way and interesting background information. Alternatively you can join a guided tour, meet great people, have expert support and see places most tourists could only ever dream of. There are tours from most major cities, with more being planned all the time. They pass through every type of landscape. Rainforests, coral reefs, deserts, mountains and everything between. Uluru [Ayers Rock] is a highlight on some of the guided tours and we even offer the chance to experience the iconic Canning Stock Route. If there's anything we can do to help you plan a fantastic motorcycle adventure down under - please just ask! There are so many incredible experiences waiting in Australia that it can be a little overwhelming at times! We can help you make the most of your available time, offer advice on where to go and when to go there, what best to ride and much more besides. The best part though? The advice is free! We just want to make sure you enjoy Australia as much as we do! Just drop us a line with your hopes for the bike trip and we'll see what we can organise. Alternatively you can read some information about riding in Australia in general, or a first hand account of riding in each state. We've also offer a range of guided tours from the incredible Ultimate East Coast tour, right through to the iconic ride along the famous Canning Stock Route! Australia is a truly incredible place to ride a motorcycle, it's made even better when you're riding a fantastic motorbike, perhaps one you've always dreamed of trying. 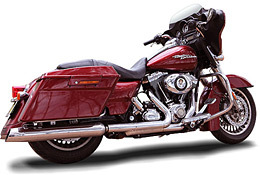 We've got a great range of motorcycles available to hire from most major Australian cities. Sydney, Melbourne, Perth, Adelaide, Brisbane, Cairns and even in Tasmania. We can also provide low cost, long term bike rentals if you're planning a longer distance motorcycle ride, or even Outback Ready dual sport adventure bikes for those longing to get a little further off the beaten track.